Apple recently released the iOS 12.1.4 update to fix the critical FaceTime privacy bug while patching a few other vulnerabilities on the platform. Unfortunately, the update also appears to have caused a few new issues with customers reporting new problems on their iPhones. 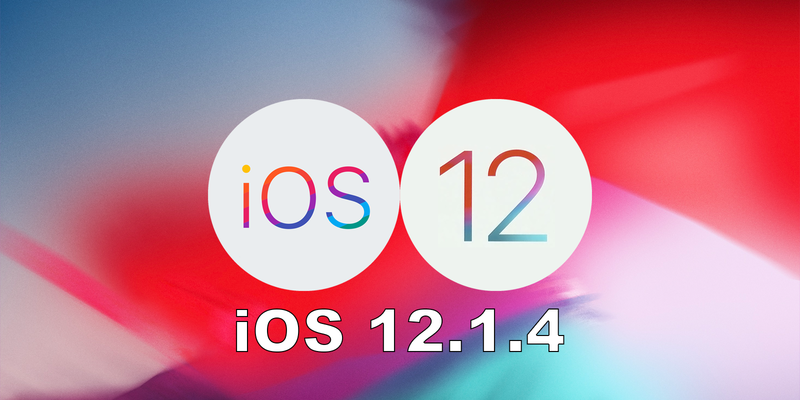 According to Forbes, customers updating to iOS 12.1.4 are experiencing issues with both cellular data and Wi-Fi connectivity. One of the examples comes from an iPhone user on Twitter, who complains that he cannot get his handset to "accept any SIM." Another user calls iOS 12.1.4 an "utter failure" after his iPhone XS lost SIM connectivity after installing the update. Yet another user complains that her iPhone XS Max is refusing to connect to the home Wi-Fi network after installing the newest software update. These are just a few of the complaints from customers who have found the iOS 12.1.4 update to have negatively impacted the performance of AirPods, Touch ID and others. Users have been complaining about issues with Apple's mobile platform since iOS 12.1, with customers complaining about various issues related to connectivity affecting the user experience with AirPods, TouchID and more. Apple is currently working on iOS 12.2 with developers, but should likely switch their attention to what appears to have become a PR nightmare for the company.